How long can a cat go without eating? If your cat is ill and rejecting food then this is probably understandable that you are worried! Perhaps, your cat is physically healthy and this is simply a behavioral disorder. Regardless, there is only a certain amount of time your feline can survive without food. 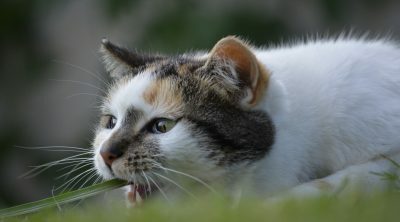 How To Get Your Cat To Eat? An average cat can survive without food for around 2 weeks. However, there are numerous harms that lack of food can cause before eventual death. 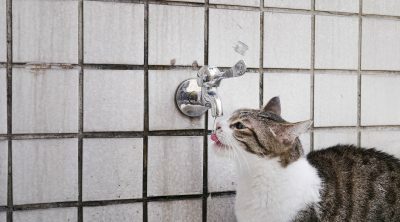 Like all living things, water is necessary for your cat’s survival. A high percentage of the cat’s water requirement is fulfilled through food. Without both food and water, survival is limited to a few days. However, if your cast does drink some water, then even without food s/he can survive for around two weeks. Your cat can go longer without eating than without drinking. Remaining hydrated is the most important aspect of survival. If your cat is not getting substance of water from a food source, the cat must drink more water than usual to stay hydrated. Food offers not only the nutrients to stay alive, but the hydration to keep going. Without food, your cat is at risk of dehydration, which leads to death. Every cell, tissue, and organ in the body requires water to function. Once dehydrated, an organ begins to take water from other parts of your cat’s body. In order to sustain life, the body begins to shut down less important organs to sustain the more important organs necessary for life. The stomach and kidneys shut down first while the brain and heart hold on for as long as they can. As a result, even if the cat survives the severe conditions, its organs may be irrevocably damaged. Your cat must eat food to survive and to ensure his/her organs remain functioning at a high level. Without food, even with water, you’re the internal workings of your cat cannot function well enough to keep the kitty alive. Nourishment is as important as hydration in this case. Hepatic lipidosis is an illness of the liver which occurs due to severe starvation. When your cat does not eat, its body does not receive enough energy to fulfill all its vital processes. The cat’s body then begins to break down stored fat to fulfill energy requirements. Another effect of this illness is the deposition of fat in your cat’s liver cells. This in turn causes many other medical problems as the liver’s function is disrupted. A cat suffering from this disease can survive from 2 to 10 days depending on the amount of fat deposits it has. The more the deposits of fat, the quicker the cat shall perish. This occurs when your cat refuses to eat due to no obvious reason. It is usually a result of a change in the cat’s surroundings, resulting in stress as cats are extremely sensitive creatures. 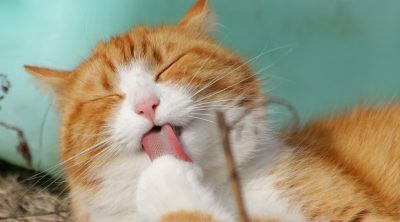 Cats may become stressed after a move, with the death of a caregiver, the introduction of a new baby or another cat, or even something as simple as a move of the litter box. Cats may also become stressed if furniture around the home is moved or if there are any home renovations taking places. Any type of chaos can be deemed stressful to a cat, even if you do not see the event as one that is particularly odd. Simply moving a kitty box and rearranging the living room may put your cat in distress and s/he may rebel by not eating. Your cat may also have anxiety and an upset stomach that does not react well to eating; therefore your cat will not eat due to a bellyache. This is the result of an underlying illness or some physical weakness. 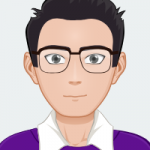 Illnesses such as intestinal and pancreatic diseases, cholangiohepatitis, or diabetes eventually cause anorexia, ultimately leading to secondary hepatic lipidosis. 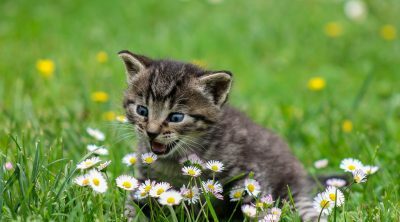 Being mindful of your cat and his/her natural behaviors may help you in determining any health issues your cat may be facing. If you notice unusual behavior or physical weakness in your pet, be sure to take your cat to the vet to have him/her treated before symptoms worsen. 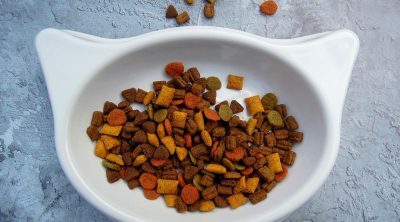 If you notice your cat not eating, and the home life of your cat has not been disrupted, this could be an underlying symptom of a serious health issue. Your vet can properly diagnose whether or not your cat suffers from this disease through a biopsy which measures the enzymes present in the liver. Kidney failure is an extreme result of a cat not eating. 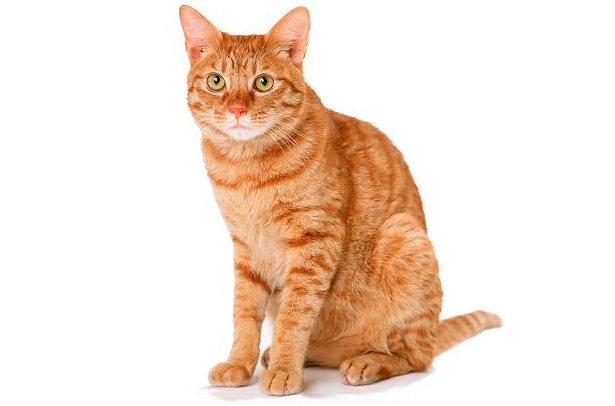 Kidney failure can cause the cat to not eat, and not eating can cause kidney failure. Despite whichever health problem comes first; kidney failure is a disease that needs to be treated immediately. Kidney failure is by far an extreme case, and should be avoided and then treated, at all costs. Initially the disease of kidney failure results in loss of weight and greater thirst, but as it develops, the disease makes the cat sluggish and weary. Your cat may become so weary that she is unable to move. Nausea increases and the cat stops eating or drinking. Starvation and dehydration makes feces dry and hard and affects bowel movement. 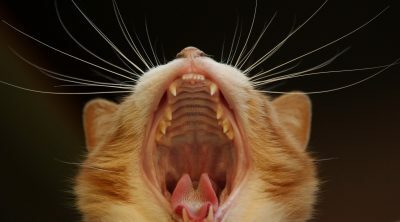 A cat that is not treated will sometimes develop excruciating ulcers in its mouth and intestine. Toxins gather in the blood causing seizures and damage to the cat’s nervous system. These conditions continue for a few days, after which the cat dies. If you have recently switched your cat to a new diet, try feeding it the old one. Encourage it to eat by feeding it a diet high in water content such as tuna water. Anorexia can also be treated using medication to stimulate the appetite. Sometimes if the anorexia is due to an underlying illness, medication to treat that illness is also essential. If your cat has not eaten anything for 2 to 3 days then it is recommended that you take it to the vet immediately. If your cat has been refusing to eat for a long period of time, such as more than 5 days, then it is likely that your vet will advise a feeding tube. At this stage your cat is under the threat of developing liver or kidney failure and you should follow your vet’s instructions. The reasons of a cat’s refusal to food can cover an extensive range. Perhaps you decided to try a new brand of cat food that it does not like or maybe the cat has an upset stomach. You may have even moved your cat’s favorite blanket to a new room. Cats can become stressed from seemingly simple changes, but their needs should be thought of and respected to ensure their happiness. 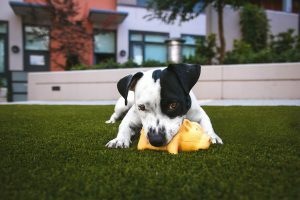 The question “How long can a cat go without eating?” is dependent on several factors including previous health conditions, present underlying illnesses, weight of the cat, etc. However, if your cat has gone a few days without food, it is recommended that you take it to your vet, as soon as possible.